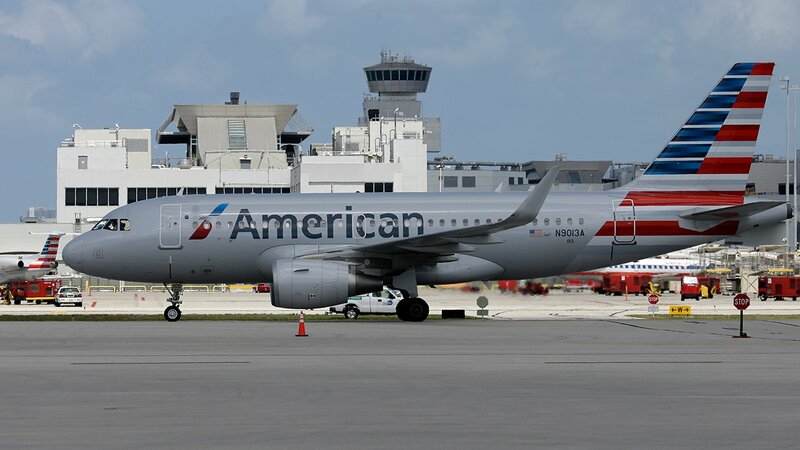 MIAMI (WABC) -- Several people suffered minor injuries after an American Airlines flight experienced turbulence while flying from New York City to Miami on Friday, the FAA confirms. Officials say American Airlines Flight 1410 from New York's LaGuardia Airport to Miami briefly encountered severe turbulence at 34,000 feet, approximately 40 minutes prior to landing. The seat belt sign was on at the time. After landing in Miami, one flight attendant was transported to a local hospital for further evaluation. Five passengers were evaluated by paramedics on arrival and were released. 159 passengers were on board the flight.